Doctor of Engineering Science, Professor, Chief Researcher at the Research Institute of Construction Physics, Professor of the Moscow State University of Printing Arts named after Ivan Fyodorov. Ilya Tsukernikov is corresponding member of the Metrological Academy, Adviser of the Russian Academy of Architecture and Construction Science, winner of the Russian Government award for science and technology for young scientists (authoring team leader) in 2014. More than 20 national and interstate standards and other regulatory technical documents in the field of measurement, evaluation and traffic flows and vehicle noise control, city noise monitoring, building acoustics were developed and put into operation by Ilya Tsukernikov or under his supervision. Ilya Tsukernikov is the author of over 300 scientific publications, including monographs, textbooks, a section in the encyclopedia ‘Ekometriya’. He presented the main results of scientific research at the international conferences in Australia, Austria, Brazil, Denmark, Germany, Italy, Canada, China, the Netherlands, Portugal, the United States, Czechoslovakia, Sweden and other countries. Ilya Tsukernikov is a member of the Russian Acoustical Society, the Acoustical Society of America, the European Acoustic Association. 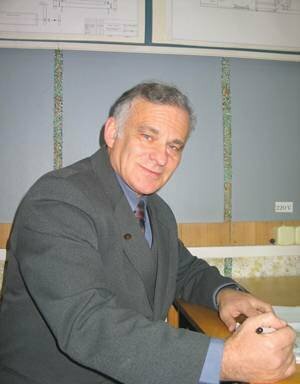 He is the Honorary Scientist of Europe, the representative of the Russian Federation in the Committee for the elaboration of the international noise control policy at the International Institute of Noise Control (USA), a member of the Global Directory of the International Organization for Standardization (ISO).